This pierogi dough uses cream cheese, butter, and sour cream, and is ideal for dessert pierogi like sweet cheese, plum or other fruits. But it also fares well with savory fillings. Place butter, cream cheese, and sour cream in a food processor fitted with a metal blade and process until smooth. Add flour and salt and pulse to blend. Turn dough out onto a sheet of plastic wrap. Using floured hands, form into a ball and wrap tightly. When working with flour, make sure you measure correctly. 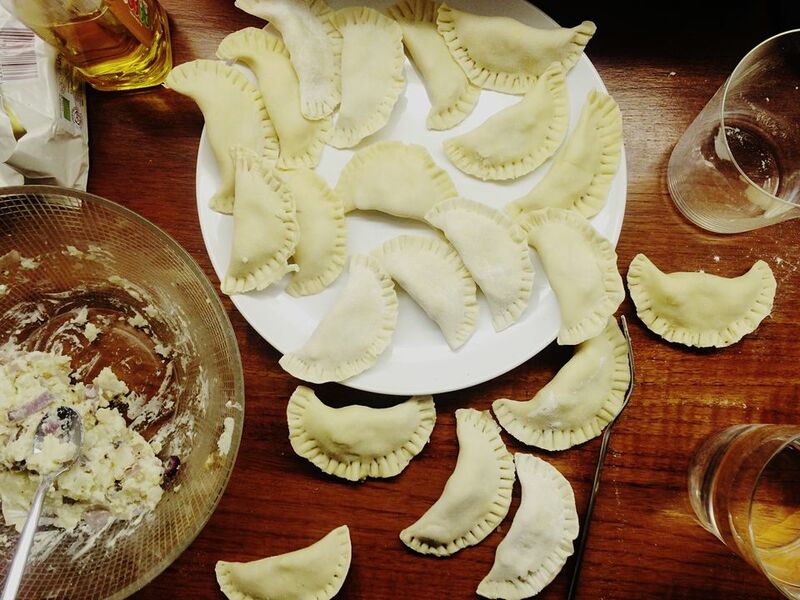 Make your own pierogi and learn how to roll, cut, fill and cook it.